Bollywood superstar Shah Rukh Khan has been given the tag of ‘King of Romance’ for a reason. The 53-year-old actor, apart from being a great actor, is also a proud family man. SRK is immensely protective of his wife Gauri Khan and their three adorable kids. 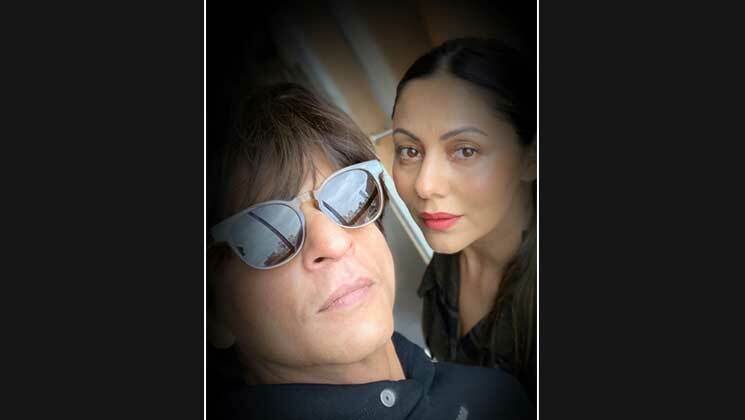 Shah Rukh Khan, on the occasion of World Theatre Day, shared a selfie with his wife Gauri Khan and talked about the importance of theatre. The ‘Raees’ actor also wrote a very cryptic caption. No surprises there! Let’s not forget that SRK is a trained theatre actor. Shah Rukh was mentored by British-Indian theatre director Barry John. Shah Rukh Khan has often reiterated how his family has played an important role in his career and life. The ‘Jab Tak Hai Jaan‘ actor loves spending time with his loved ones. Meanwhile, on the work front, SRK was last seen in Aanand L Rai’s ‘Zero’. The film saw SRK playing a dwarf character named Bauua Singh. The feature film did quite meager business at the box-office. ‘Zero’ also starred Katrina Kaif and Anushka Sharma in leading roles.